Our final Open Bridges workshop session was held aboard the Spider T, Mal Nicholson’s wonderful 62ft Humber sloop. Thanks to Mal for the hospitality aboard the Spider. Open Bridges team members Iain Campbell – Beverley Barge Preservation Society, Pete Curry – Bridge Operations, Captain Malcolm Mathison – National Vice Chairman, The Merchant Navy Association, John Medland – Sailing Master Humber Keel Comrade, Captain Mal Nicholson – HMS Pickle, Rich & Lou Duffy-Howard – Open Bridges organisers spent the afternoon sharing stories about what happened on the night. 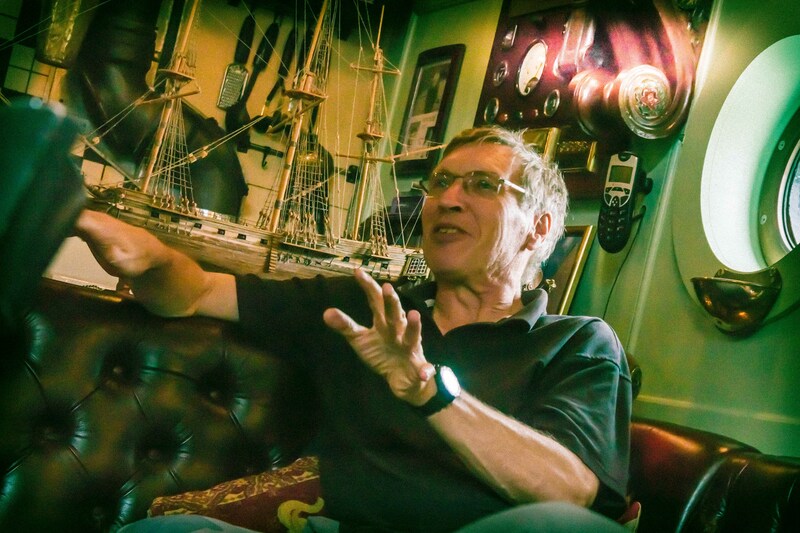 Iain Campbell on the Syntan spoke of so many positives as a great atmosphere and host of well-wishers followed the Syntan down the Hull with great conversations, ship to shore along the way. The VIPs on the Pickle had such an adventure, the emergency services were happy, no gridlock, no issues. Bridge Operations staff closed, lifted or swung every bridge across the river. We talked of the river in its heyday, not so long ago, with the river full of barges and bridges lifting 15 times a shift, before the tidal barrier when the old town flooded. 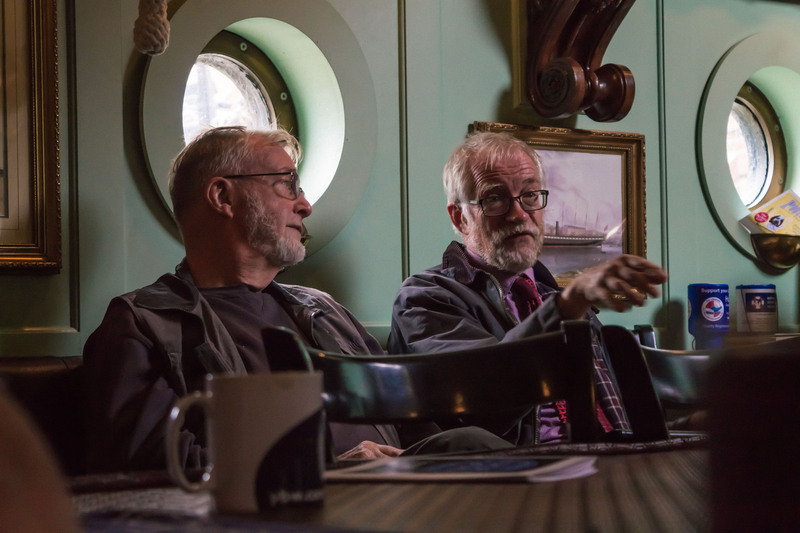 We spoke of the river as real hull culture and the importance of the docks and river and bridges and heritage continuing that legacy which people only realise how important it is when it’s gone. We have a recording from the evening we’ve transcribed for the Open Bridges Exhibition on 9th December. The transcript is taken from a recording made on board HMS Pickle and includes communications on maritime frequency VHF22 between vessels and the Hull and Humber Harbourmasters, event radio communication of 20 Bridge Operators plus Engineers, Pete Curry – Event Control, and the conversations on board HMS Pickle, the voices of its Captain, Mal Nicholson, Her Majesty’s Lord Lieutenant for the East Riding of Yorkshire, the deputy Humber Harbourmaster Andrew Swift, Captain Malcolm Mathison and Harry, Ken and crew.